Which comic device does the cartoonist use to make his point? Explain your answer. a) exaggeration – The cartoonist is exaggerating the extent of the economic crisis. 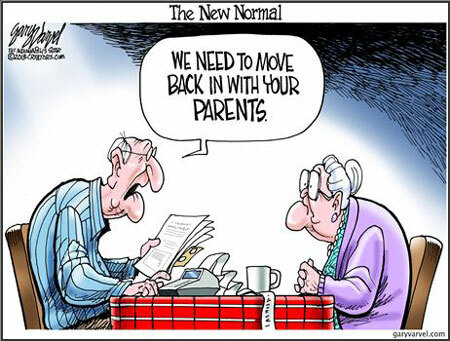 It is increasingly reported that because of the bad job market, college graduates have had to move back in with their parents.